(2010). Effect of Hexadecyl Trimethyl Ammonium Bromide (C16TAB) as Cationic Surfactant on Contact Angle and Interfacial Tension of Carbonate Rocks and Oil. Iranian Journal of Chemical Engineering(IJChE), 7(2), 17-27.
. "Effect of Hexadecyl Trimethyl Ammonium Bromide (C16TAB) as Cationic Surfactant on Contact Angle and Interfacial Tension of Carbonate Rocks and Oil". 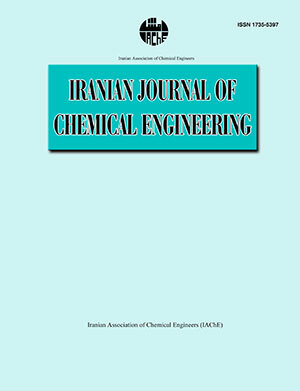 Iranian Journal of Chemical Engineering(IJChE), 7, 2, 2010, 17-27. (2010). 'Effect of Hexadecyl Trimethyl Ammonium Bromide (C16TAB) as Cationic Surfactant on Contact Angle and Interfacial Tension of Carbonate Rocks and Oil', Iranian Journal of Chemical Engineering(IJChE), 7(2), pp. 17-27. Effect of Hexadecyl Trimethyl Ammonium Bromide (C16TAB) as Cationic Surfactant on Contact Angle and Interfacial Tension of Carbonate Rocks and Oil. Iranian Journal of Chemical Engineering(IJChE), 2010; 7(2): 17-27.